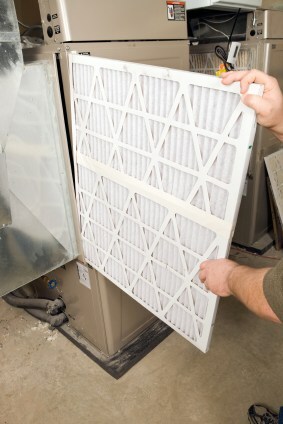 Installing or repairing an Air Filter System in Carl Junction, Missouri? Improving air quality in your home or office creates a healthier, more comfortable environment. Barone's Heat & Air, LLC provides top quality air filter systems in Carl Junction, Missouri, along with a full range of services and maintenance options for air filtration, air purification and ventilation systems in the Carl Junction area. Customers trust the professional knowledge and experience our technicians have worked hard to establish. Working in the Carl Junction region since 2009, Barone's Heat & Air, LLC provides full training to each staff member, allowing us to offer installation and service on the most innovative air filter systems on the market today. Investing in your health is a wise move, and Barone's Heat & Air, LLC makes it easier for homeowners and businesses across Carl Junction to maintain greater levels of health. Air filter systems reduce contaminants, reduce allergies and create a more comfortable living and workspace for all Carl Junction residents. And Barone's Heat & Air, LLC works with leading manufacturers to provide the best systems and equipment possible. For quality air filter systems, Carl Junction residents also trust Barone's Heat & Air, LLC’s customer satisfaction guarantee. If your Carl Junction, Missouri air filter systems are not performing up to your expectations, call Barone's Heat & Air, LLC for a full assessment. Our expert staff will offer alternatives and schedule services for your air filtration system, ensuring a healthy environment for the people in your life. When you’re ready to invest in better health and greater comfort, call Barone's Heat & Air, LLC and discover your options for air filter systems in Carl Junction, Missouri. Working with residential and commercial customers across the Carl Junction region, Barone's Heat & Air, LLC has the knowledge and experience you can trust, backed by affordable prices and a customer satisfaction guarantee. Value your health and call (417) 232-0017 today for an estimate.